I could not be more excited about the potential the 2018/19 season holds for the Elite Program. The challenge has been agreed upon by all the SLSG MO Girls Staff, "Improve on and off-field performance" across the entire club. This statement, being lived by staff on a daily basis, is echoing throughout the club and the challenge holds true for all programming. As many of you may already be noticing, improving upon the already high standards set by former Premier Program Director Sterling Wescott, is a focal point for our new Elite Program Director Shaunna Brandt and her Elite Staff. This challenge will most certainly be difficult at times, as all real challenges worth their weight prove to be, but this challenge has already led to a change in program leadership, a change in coaching staff, and a change in competition calendar. All this, we believe, will inevitably and positively impact the culture Sterling has created for the program and continue providing the soccer experience each player deserves. I want to thank Sterling, Carlton, and Shaunna for the passion they have given the Program. 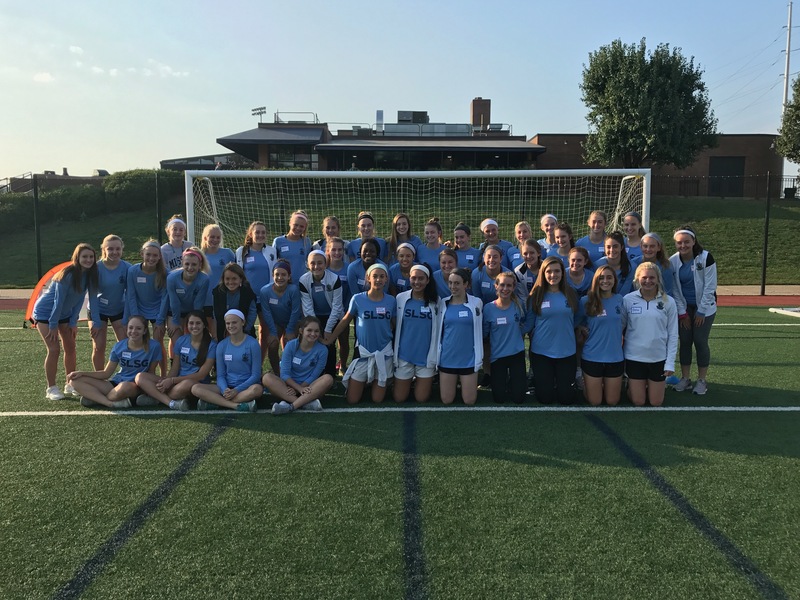 Their efforts have impacted hundreds of young ladies and at the same time raised the standards for all teams and clubs across the Metro Area. And just as important, I must say thank you to all the parents, past and present, whose loyalty and commitment to the program have given us all a healthy environment to do what we love to do; teach children about life's lessons through the game. So, I encourage all to really enjoy the year that awaits. I have complete trust in Shaunna and her Staff to answer the challenge, to raise standards, to enhance culture, and to guide these young ladies of the Elite Program through new adversities and achievements. I'm especially excited about and anticipate that the girls will thrive in this environment of change and ultimately they will set the bar at new heights both on and off the field. Again, thank you to all Program members, past and present, I hope to see you on a field soon!